Use this guide to find quick links and resources at the Brackett Library, a joint use library with Indian River State College and Indian River County. Find books and media at the Brackett Library. Learn more about the Brackett Library including upcoming events and new books. The Brackett Library is located on the Mueller Campus of Indian River State College in Vero Beach, FL. 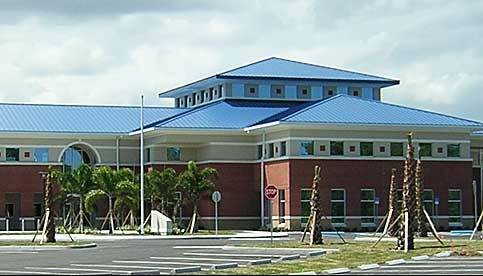 The library is a joint-use facility between the College and Indian River County. Combining public and academic resources provides the best possible services to our students, county residents, and public patrons. The Brackett Library is a joint use library operated by both IRSC and the Indian River County Library Sytstem. The Brackett Library serves IRSC students and is an official branch of the Indian River County Library System. You need an Indian River County library card to use the computers and checkout materials. Wi-Fi is freely available in the library. There is no password. Connect to IRSC-Guest. The IRSC Reference Librarian can help you with your research. Single and group study rooms are available to students and patrons. Black and white printing is available for $0.10 per page. The library is not open on the weekends (at this time). Visit the county Brackett Library website for more information. Join us on Thursday, April 25 at 3:00 pm in the Brackett Library's Bjorkman Room to discuss The Stranger by Albert Camus. All are welcome. If you would like to check out a library copy of the book, contact Hollie at 772-226-3080 ext. 4550.